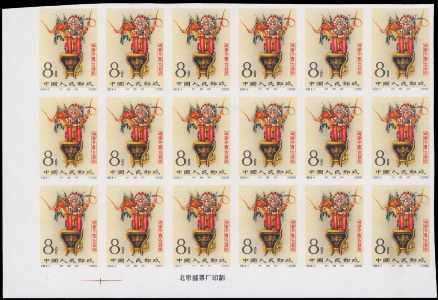 Stamps-collector.com | ‘Magnificent’ China stamps star at the Eastern fall sale. ‘Magnificent’ China stamps star at the Eastern fall sale. Issued in 1962, this unique block of stamps continues to push the prices year after year to the point that it is no longer affordable for the average collectors. Moreover, such a fine set of thesesought-after imperforates is rarely seen in such large multiples. In fact, the largest fixed multiples was an imperforate imprint blocks of ten. So, this rarity is definitely worth collectors` attention. Let`s wait for New Brunswick’s Eastern Auctions’ results, as they will be really surprising!